Discover our stunning collection of Chimento jewellery and their selections of contemporary designs coveted across the globe. First founded in 1964, Chimento is now considered one of the finest luxury Italian jewellery brands in the world, setting a benchmark for all its competitors with its gold jewellery collections like Bamboo, Armillas Acqua, Ventaglio, Stretch, Link and more. As official stockists of Chimento jewellery, we offer Chimento necklaces, Chimento bangles, Chimento bracelets, Chimento rings and Chimento earrings all available online and in store with interest free finance and free UK delivery. Chimento Bamboo 18ct Yellow Gold 0.01ct Diamond Bangle 1B05852B11180. Founded in 1964 as one of Italy's premier goldsmiths, the family run Chimento is world renowned for its top quality Italian jewellery and its distinctive and exclusive creations using 18ct gold. Their collections feature the perfect blend of traditional and contemporary design, setting a new standard for luxury Italian jewellery. The Chimento Bamboo collection features a unique bamboo design running through all the pieces that is both feminine and intricate. This Chimento Bamboo 18ct yellow gold bangle is an elegant piece that features a combination of 18ct yellow gold bamboo style pieces, embellished with a single 0.01ct brilliant cut diamond set into the centre piece. The bangle can be worn alone or can be stacked alongside other bangles and would be a beautiful addition to any jewellery lovers collection. 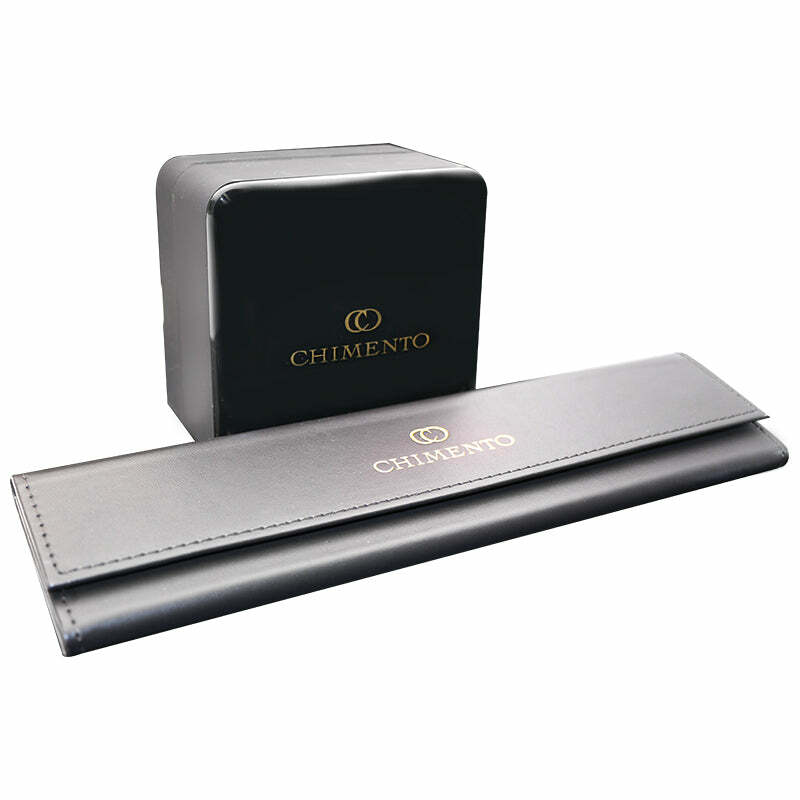 All Chimento articles purchased from W Hamond are lovingly and securely dispatched in elegant Chimento jewellery packaging, complete with certificate of authenticity.